This is the second post in its series. Each state in America has upsides and downsides. Texas is so big in land mass that it probably could sustain itself as a stand-alone country (it used to, you know, until it ran out of money). Post-boom busts are fixed by many states by the taking of federal hand-outs; not so for Texas. We like to stand firm with a ‘No thank you’ or a ‘We’ll take care of it ourselves just fine.’ Conservatism is pretty strong here. The current energy boom-bust has been less intense thanks to a diversity in economy and resources built over past decades. It really is a fantastic place to live and work. I really should love living here, but I don’t. I’m a nature-type, and nature-types don’t generally like environmental depletion, exploitation, and consumption for the benefit of one species alone. The biggest downside is in traveling: It takes an entire day to drive border-to-border. Once on the road, the wanting to run away fast settles into an uneasiness in the front seat, but at least the first days of the trip get rewarded with vacation, unlike the return trip. A boring long haul from Houston to the plains of The Panhandle or through the deserts of West Texas is not particularly scenic, and kids are attentive to their players, books and screens rather than out windows. The new roomy Nissan Passenger NV is a stark contrast to the shorter wheel-base Hummer H2 of previous trips. Nothing gets packed on top, and there’s even a make-shift toilet facility and kitchen prep area to eliminated stops. Add that to plenty of leg room for growing teenagers and you’ve got yourself a squabble-free, comfortable ride out to the west. Scott does most of the driving. My job is to help kids find stuff and help navigate through traffic tie-ups or unexpected road construction. Early in the second day of driving, the New Mexico border finally whizzes by and we are greeted by happy residents in a more colorful, painting-inspired landscape. Way better view than an airplane window seat. Albuquerque makes for a nice mid-day stop for lunch, and the vacation mind-set fully engages. Sure, it’s hot outside, but who’s complaining? Coming from Houston’s high humidity, this is a dry heat. The Greater Roadrunner couple raising their brood in the shrubs are fine with it, and so are we. 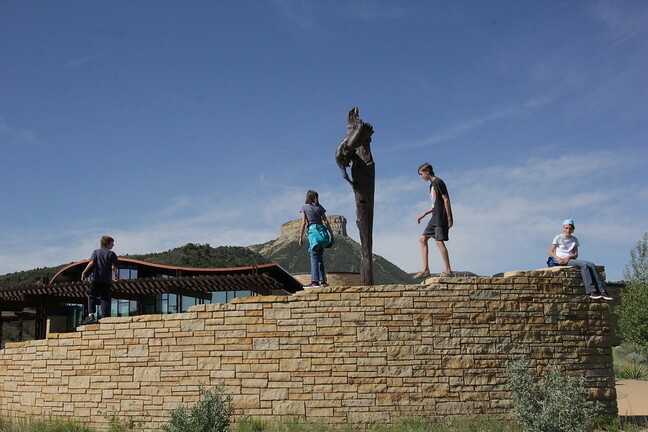 After more than 24 hours in a car or hotel, escape into Rio Grande Nature Center was a welcome paradise. 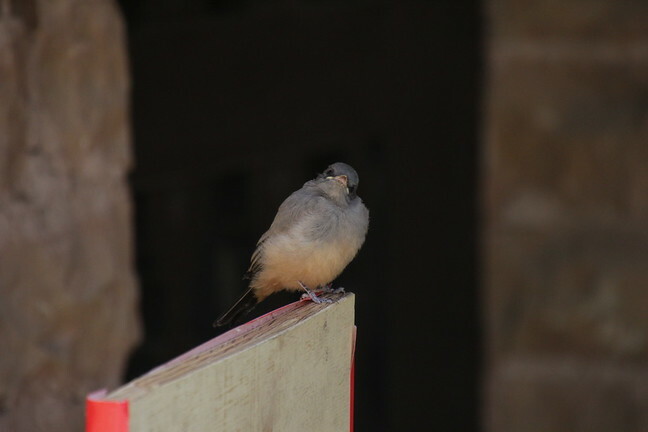 Mom and Dad did some requisite birding on the short trails around the visitor center, which the kids were happy to explore from within. Watching the Wood Ducks and Broad-tailed and Black-chinned Hummingbirds from the viewing center off the pond from the cool comfort of benches just inside the picture windows was the highlight. Hard to stay cool with a sister on your neck. With only another short drive to the next hotel, our first national park visit of 2017 was now well within reach. Early Americans lived right by the land, and they were rewarded for that stewardship by being marched off to reservations so we could have their lands and enjoy our consumptive way of life. Driving through many of these reservations on our trip give the visual conclusion they are still struggling a hundred years later. Conquest was required in order for America to become civilized, industrialized. Pueblos were converted to missions so that natives could begin the process of ditching ties to their lands, language, and spirituality — all in the name of some other religion and conformity to it. They were a conquered people. Today, we attempt to right these wrongs with reparations, but the damage is already done. 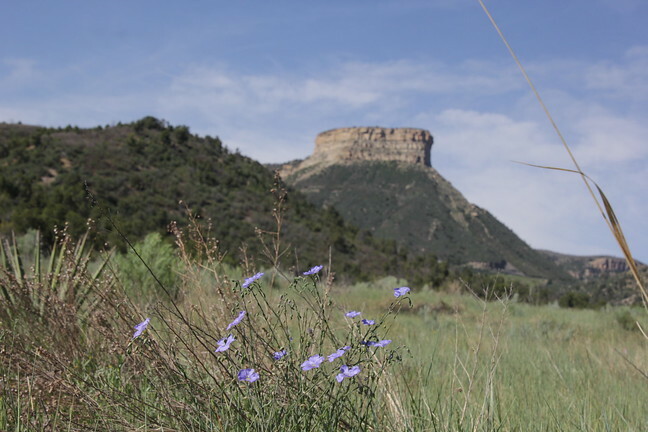 Hundreds of years before that conquest, Puebloans were a successful agrarian people, and Mesa Verde National Park is a celebration of their way of life. Tribes numbering only in dozens of individuals were kept naturally in check with what food/water resources were available to them. They were simple people with a rugged spirit, relying upon stores of grains alongside small food crops of seasonal fruits and roots. Exploitation of their surroundings was minimal, and Mother Nature was revered in a deliberate and spiritual way. Theirs was a lifestyle in concert with natural surroundings, not against it. Women and children of the community were employed full-time in the making of pottery (for safe dry storage of goods) while men foraged for lumber (the under-structure of their adobe dwellings and firewood), farmed above, or hunted supplemental animal foods. 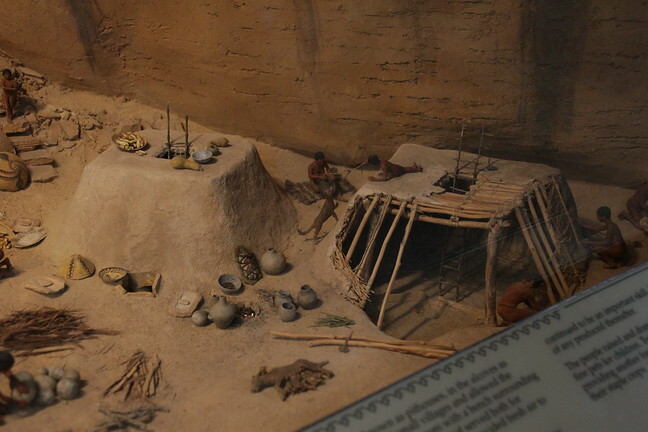 It was hard but simple existence; these modern day ‘uncivilized’ humans were a snapshot of what sustainable actually looks like in America when human populations were much, much smaller. Building shelters under the protection of cliffs with small farms accessible by ladder up top sure seems like a good idea to me. Perhaps my ancestors should have been taking notes instead of breaking peoples’ spirits. Angie Spies A Corn Cob — Built-in! Hiking the park the rest of the day was neither difficult nor bustling as there were practically no other people on the trails with us. 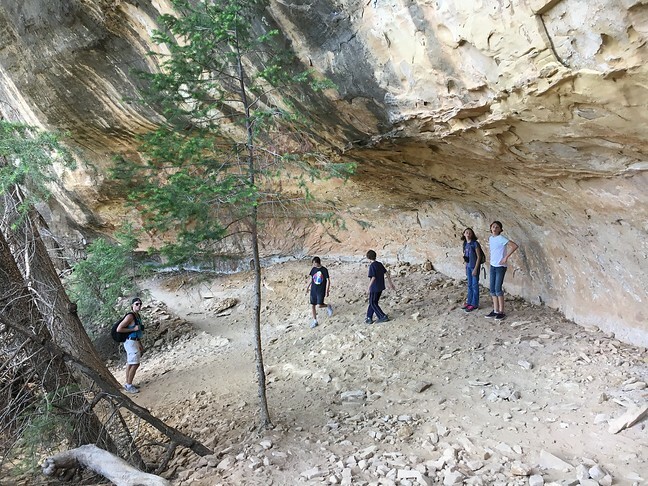 These trails were a much-needed time outdoors, and the kids enjoyed the ins and outs of cliff overhangs and hidey-holes, rock-scrambling, and scary ridge overlooks. It was a beautiful day to be out. 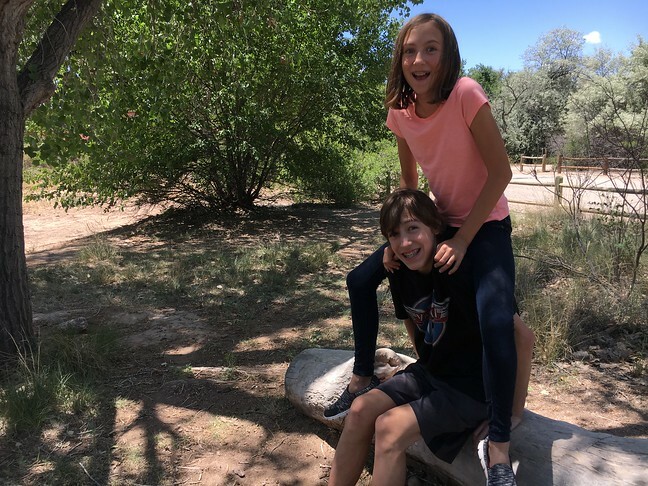 What is it about kids and climbing anyway? It is uncertain why these people abandoned their dwellings almost a thousand years ago, well before the time of native culling by European settlers. Still seeing them with intimacy gives me hope for the future. Email Readers: This is a video embed, music that ties to our trip. It can be viewed at the blog. Looks like a great trip! I do wish to visit Texas someday, too! Texas has its upsides, but summer isn’t among them (unless you’re an indoor person). Out west is where we always seem to venture. Hope you’re having a nice summer where you are, Wendy. Good to see you again, Courtney. 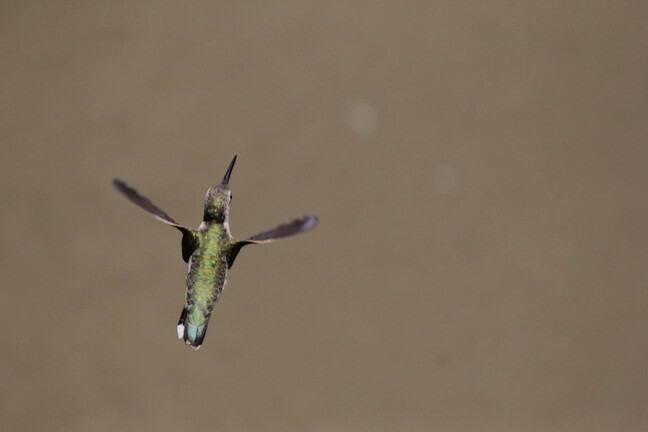 Those roadrunners…wish we had ‘me here. They are fun to watch with their skulk-y ways. 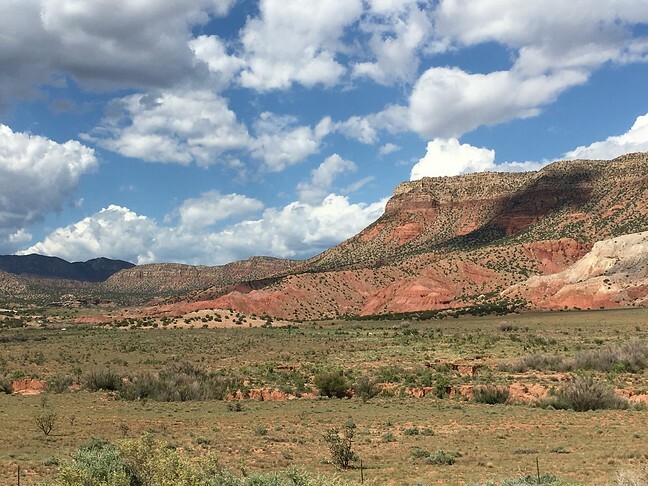 From what you’ve recently said, perhaps a move to the scenic Southwest is in your future. We could have spent the whole day at RGNC. The trails were sprinkled with birds and it was a pleasant silence walking among the cottonwoods. The problem with these beautiful, wide-open spaces, Steve, is financial. I may willing to live life as a hobo to make it happen, but my kids and husband are less enthused by that solution. I am hard-wired to MIGRATE, and a house with stuff is a ball and chain. I understand. At the same time, Albuquerque and Denver are big enough cities that jobs can be had, yet the mountains and wide-open spaces are close by. Maybe someday. 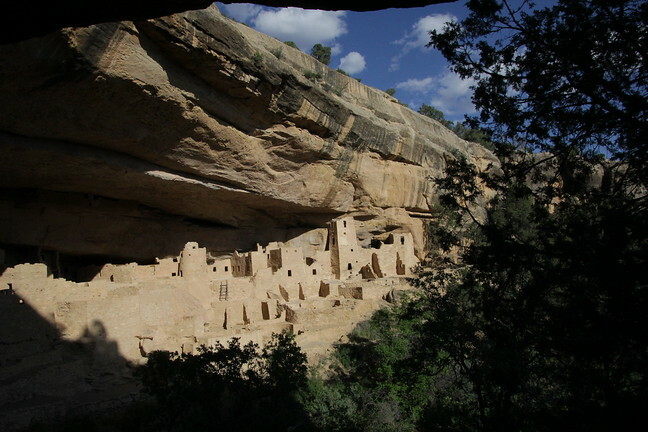 I love Mesa Verde, can’t wait to get back there. 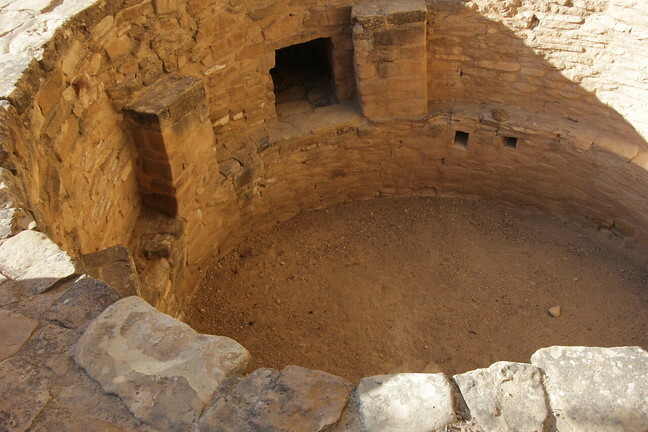 Am currently working on a series of posts about the Ancestral Puebloans and hope to share them with you soon. Your prairie dog photo is amazing. Thank you, Tanja, and I always look forward to your posts! I have yet to come comment on the horse excursion (which I’ve read several times already). Great post and welcome to Colorado. I am in Ridgway about 1.5 hours from Mesa Verde. 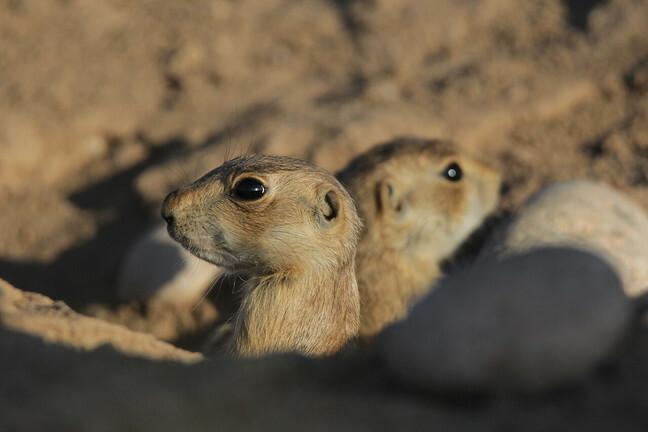 Your photo of the prairie dog pups is my favorite. Hi Denise, so nice to have you here. Colorado is one of our favorite states (you would see that if you typed it in the search box), but this particular trip was short on CO time. The pups were fun; they trusted me enough to come all the way out against their mother’s audible warning barks. I haven’t visited there since I was younger than your kids, I think. I remember thinking then that the people living there must’ve been short. With your taller brood, did y’all feel that? Definitely. We are European descent — Dutch in particular, giants. Puebloans were around 5’2″. Their structures were built accordingly, but we weren’t allowed to go in them, just around them on a guided tour. Probably can’t tell that by photos since I intentionally cropped out non-family!